Trio Céleste, the international chamber music ensemble performs at Irvine Barclay Theatre. A night of lively artistry styled by one of the most dynamic ensembles on the classical music scene today. This is your opportunity to explore beautiful music through the eyes of Trio Céleste and, perhaps, inspire you to see it in a new way. The program will include the North American premiere of a previously undiscovered Sonata for Solo Violin by Eugène Ysaÿe featuring French violinist Philippe Graffin. Hailed as a "first-class ensemble," "unfailingly stylish," "technically dazzling," and "the epitome of what chamber musicians should be." Trio Celeste has performed in hundreds of recitals worldwide, including lauded debuts at New York's Carnegie Hall, Seoul Arts Center in South Korea, and the Los Angeles County Museum of Art. And, in addition, artists from Trio Céleste’s Chamber Music | OC and its renowned Young Artist Program will be performing. Trio Céleste mentors young artists in southern California who want to become professional musicians through its program. 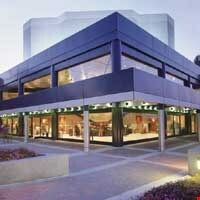 Launched in 2012 by pianist Dr. Kevin Kwan Loucks and violinist Dr. Iryna Krechkovsky, Chamber Music | OC has established itself as one of the most dynamic classical music organizations in the country dedicated to advancing the art of chamber music through performance, education and community outreach. Hailed as “a first-class ensemble” (Orange County Register), “unfailingly stylish” (The Strad), “technically dazzling” (Long Beach Gazette), “flawless” (New York Concert Review) and “the epitome of what chamber musicians should be” (Palm Beach Daily News), Trio Céleste (Iryna Krechkovsky, violin; Ross Gasworth, cello; Kevin Kwan Loucks, piano) has firmly established itself as one of the most dynamic chamber music ensembles on the classical music scene today. Recent highlights include recital debuts at the Chicago Cultural Center, Los Angeles County Museum of Art, New York’s Carnegie Hall, Seoul Art Center in South Korea, and the world premiere of Paul Dooley’s Concerto Grosso for Piano Trio and Strings co-commissioned by Trio Céleste and Chamber Music | OC. Winners of the prestigious Beverly Hills Auditions and the recipients of the 2017 Emerging Artist Award from Arts Orange County, the ensemble has performed hundreds of recitals worldwide, also appearing in master classes, entrepreneurship seminars, and performance residencies at some of the nation’s top academic institutions and centers for arts and culture. In 2014, the ensemble was selected from over 500 applicants to be artists-in-residence at the Grand Canyon National Park. Trio Céleste is currently ensemble-in-residence at the Claire Trevor School of the Arts at UC Irvine and directors of the acclaimed arts organization Chamber Music | OC, where they have been featured in collaborations with violist Paul Coletti, the Emerson String Quartet violinist Philip Setzer, and principal players of the Orpheus Chamber Orchestra. During the 2015/2016 season, the Trio commissioned new music from composers Samuel Adler, Mike Block, Christopher Dobrian, Paul Dooley, Eugene Drucker, Peter Erskine, Eric Guinivan, Fred Hersch, Pierre Jalbert, Nicole Mitchell, Jim Scully, and Cristina Spinei, and released their debut album on the Navona label, which debuted at No.5 on iTunes Best- Selling New Releases chart and at No. 20 on Amazon’s Chamber Music Albums. The ensemble was inspired to take its name after their very first meeting in New York City, where a rare celestial occurrence—the largest harvest moon in two decades—marked the beginning of their tenure together. Philippe Graffin has established a reputation for his interpretations of Romantic French repertoire, befitting one of the few pupils of Josef Gingold, himself a pupil of Ysaÿe, for whom much of the violin repertoire of this era was written. His recordings, including many premieres, bear witness to a questing mind. His acclaimed recording of the three Saint-Saëns concertos is the first volume in Hyperion’s Romantic Violin Concerto series; he has also recorded concertos by Frederic Cliffe and Frédéric d’Erlanger (Volume 10). He is a champion of the forgotten concertos of Fauré and Samuel Coleridge-Taylor, and has performed the latter at the BBC Proms. As soloist, Philippe has performed with orchestras including the Philharmonia, BBC Symphony, BBC National Orchestra of Wales, Royal Liverpool Philharmonic, Saarbrücken Philharmonie, the Residentie Orkest, Gothenburg Symphony, Czech Philharmonic, Orchestra di Padova e del Veneto and the St. Petersburg Philharmonic. He performs works by many modern composers, including Dutilleux and Saariaho, and has had works written for him by Vytautas Barkauskas, Philippe Hersant, David Matthews, Yves Prin and Rodion Shchedrin. Philippe is the founder and artistic director of the Consonances International Chamber Music Festival of Saint-Nazaire, France, and has been artistic director of several other festivals. Philippe Graffin plays a Domenico Busano violin, made in Venice in 1730, and is guest professor at the Royal Conservatory in Brussels. Pianist Kevin Kwan Loucks enjoys a multifaceted career as international concert artist, educator and arts entrepreneur. He has been described as “impeccable” (La Presse, Montréal), “a shining talent” (Völser Zeitung, Italy), and “a pianist of exhilarating polish, unity and engagement” (Orange County Register). He has earned ovations from Weill Recital Hall and Zankel Hall at Carnegie Hall, to Prösels Castle in Italy, The Kennedy Center, Kumho Art Hall and Seoul Arts Center in South Korea, Lincoln Center’s Alice Tully Hall, and Prague’s Lichtenstein Palace. He has been featured on National Public Radio, CBC Radio 2, Classical KUSC, the Public Broadcasting Service, KABC-TV Los Angeles, and the Korean Broadcasting System, and was a top prize winner at the Schlern International Competition in Italy, the International Chamber Music Ensemble Competition in Boston, the Beverly Hills International Auditions in Los Angeles, and the American Prize in Piano Performance. As a collaborative artist, Kevin Kwan Loucks has appeared in recitals with Rachel Barton Pine, Colin Carr, Paul Coletti, Robert deMaine, Glenn Dicterow, Karen Dreyfus, Eugene Drucker, Edgar Meyer, Johannes Moser, Kyung Sun Lee and Carol Wincenc. He has been featured in collaborations with the Afiara, Arneis, Cecilia, Jupiter, Lyris, and Rus String Quartets, and has performed and recorded as a member of Gruppo Montebello, an all-star ensemble of acclaimed Banff Centre faculty and alumni based in Canada. Loucks has performed in hundreds of recitals throughout North America, Europe and Asia with his wife, violinist Iryna Krechkovsky, as part of the award-winning Krechkovsky/Loucks Duo. In 2012, the Duo formed Trio Céleste with cellist Ross Gasworth and served as ensemble-in-residence at the Claire Trevor School of the Arts at UC Irvine, where they also directed the annual Trio Céleste Summer Chamber Music Festival. A Korean-American adoptee and graduate of The Juilliard School in New York City, Kevin Kwan Loucks was mentored by Julian Martin. He is an alumnus of programs at the Aspen Music Festival, Music@Menlo, and The Banff Centre, and holds a Doctor of Musical Arts degree from Stony Brook University, where he served as Head of Piano for the Pre-College Division and a teaching assistant for the Emerson String Quartet. A co-founder of Chamber Music | OC, Loucks earned recognition from the Orange County Business Journal and OC Weekly, which named him one of southern California’s most influential people. In 2018, Loucks joined the Music Academy of the West as Director of Innovation and Program Development, and is responsible for introducing and managing new outreach and impact programs. In addition to his artistic training, Loucks holds an Executive Master of Business Administration degree from the Argyros School of Business and Economics at Chapman University, where he studied entrepreneurship, finance, management and strategy. He completed his executive education at the Stanford Graduate School of Business. The Chamber Music | OC Camerata is the newest musical force in southern California’s vibrant arts scene. Led by violinist Iryna Krechkovsky, who’s playing has been called “lively, sensational, and impeccable” by Montreal’s Arts & Opinion, the CMOC Camerata is made up of the best young players in Orange County. This all-string chamber orchestra made its highly-anticipated performance debut at Irvine Barclay Theatre in April 2018.